THE SPROCKET-HOLE/BFCC'S LATEST DVD! AN ENTERTAINING 101 MINUTES OF SHEER NOSTALGIA! ADVERTS - DAYSETS - TRAILERS, SHORTS AND NEWSREEL CLIPS. NONE-STOP FUN FOR EVERY COLLECTOR! �.99 INCLUSIVE OF P&P FROM FILMTEK. 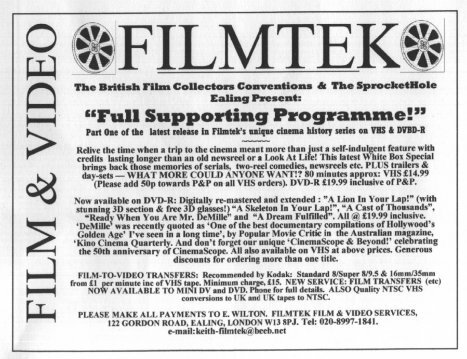 The history of film collecting - part one featuring footage of the early BFCC conventions (are you in it?! 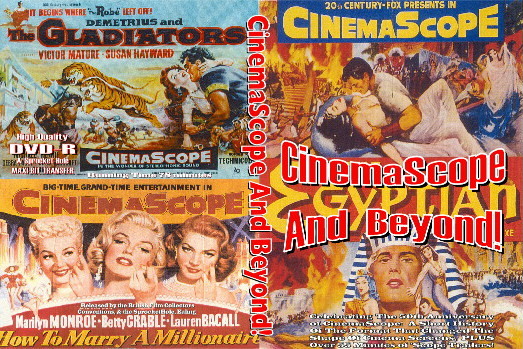 ), the introduction of magnetic sound, 16mm, 9.5mm and the early film pioneers. 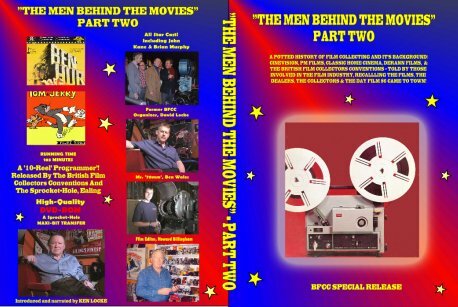 Interviews with the editors who produced the 'cut-downs' for Super 8 release, lavishly illustrated with footage and nostalgic box covers and labels. Also includes footage of various bits of equipment and projector demo films. A 'must' for every collector, and very, very repeatable! "A potted history of film collecting and its background. 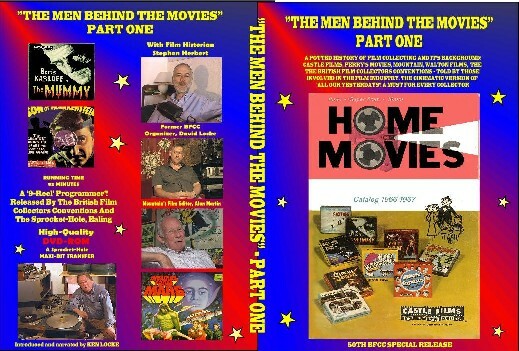 Castle Films, Perry's Movies, Mountain, Walton Films, The British Film Collectors Conventions - told by those in the film industry. The cinematic version of All Our Yesterdays! A must for every collector." "Absolutely Brilliant! So nostalgic it had me searching out my old copies of Movie Maker. I've watched it three times and wish it would never end. Roll on part 2!". David Arhens, Belfast. "The best thing ever done! Content and quality not to be surpassed - flawless". Disappointed when it came to an end. Can't wait for part 2". Geoff Newman, Sussex.